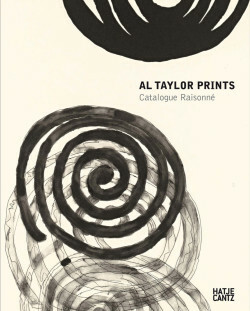 Quoting Al Taylor in the introduction to the catalogue raisonné of his prints, Michael Semff, director of the Graphische Sammlung München, writes that printmaking fulfilled Taylor’s “own demand to devise ‘elaborate programs, systems, and methods which break down, fall apart, and change the more successful they become, taking on meanings and a life beyond’ his ‘original intentions.’”1 Prints tend to surpass “original intentions” as a matter of course, and Taylor welcomed the medium’s balance of control and surprise. 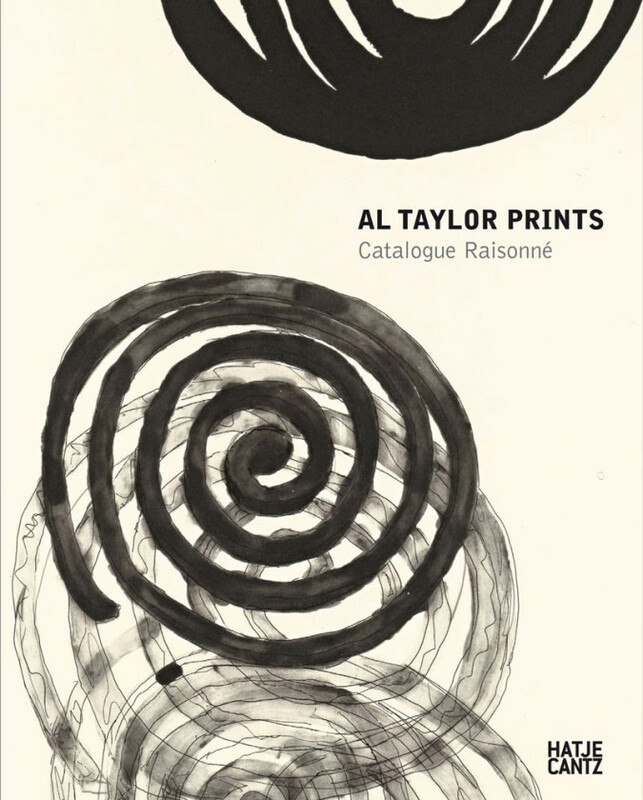 The 163 projects documented in Al Taylor Prints: Catalogue Raisonné—many in variant versions and proofs that bring the total number of entries to 230—testify not only to Taylor’s experimental spirit in the medium but also to the striking consistency of his vision. Fixing on the most banal details of the world around him, Taylor uncovered in their spatial and linear exposition a rare poetry. Born in Springfield, Missouri, in 1948, Taylor lived only to age 51; he was little known in the United States outside New York City, where he resided from 1970 on, and his first museum exhibition in the States took place more than a decade after his death, at the Santa Monica Museum in 2011.2 Europe loved him, though; he had numerous gallery exhibitions in Germany and Switzerland throughout the 1990s, and his first museum survey was held at the Kunsthalle Bern in 1992. He was preparing for a show at the Kunstmuseum Luzern when he died (“Al Taylor: Cures and Lures” opened in July 1999). In 2006, Semff, whom Taylor had met in 1994 through his Munich dealer Fred Jahn, organized a retrospective of the drawings—of which there are several thousand—at the Pinakothek der Moderne in Munich. Having begun as a painter, after 1984 Taylor turned exclusively to sculpture, drawing and printmaking, although he always insisted that he remained a painter. 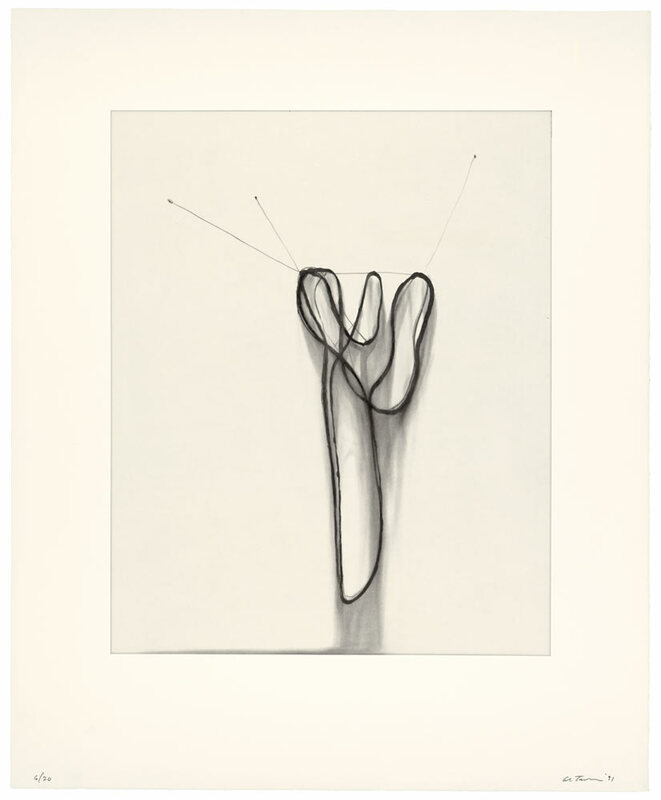 Even in two dimensions his vision—tied to objects and phenomena in the world, however abstracted—was richly spatial. In his prints, he manipulated gradated tonal effects to enhance the remarkable depth and torsion he was able to achieve through line alone. Already when he was in art school at the Kansas City Art Institute, which he attended from 1966 to 1970, he was making prints. Happily for Semff, Taylor carefully recorded all of them, even before his first official publications in 1988. The first part of the catalogue raisonné records 23 such projects, from early figurative etchings and lithographs made during his time at KCAI to his only woodcuts, from 1986. After making no prints in the 1970s, Taylor returned to printmaking after a trip with his wife, Debbie, to Africa in 1981, a journey that had a deep effect on him. As Semff writes, “It essentially altered his entire experiential scale of values, his basic understanding of place and time, strengthened his penchant for improvisation and love of the objet trouvé, and triggered a willingness to ‘use an element of humor in art.’”3 Later trips to Hawaii provided further inspiration. Al Taylor, Untitled (Large Tape) (1988), line etching, step-bitten aquatint, sugar lift aquatint and spit bite aquatint, printed in black from one copper plate, image 67.3 x 34.3 cm, sheet 86.4 x 49.5 cm. 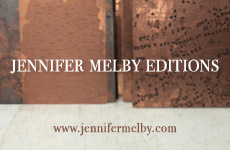 Edition of 20. Catalogue Raisonné No. 27. ©2014 The Estate of Al Taylor; courtesy of David Zwirner, New York/London. The second part of the catalogue records the prints, mainly in black and white, that Taylor produced in collaboration with eminent printmakers in the States and Western Europe. It begins with a flurry in 1988 and ’89, when he went first to the intaglio workshop of Felix Harlan and Carol Weaver in New York (with whom he was matched by the publisher Christopher Cordes at Mere Image Inc., New York), and then to Niels Borch Jensen’s atelier in Copenhagen (introduced by his Cologne dealer, Alfred Kren). In those two busy years, Taylor produced 42 etchings—“half his entire output in this medium,” as Semff reports. At Harlan & Weaver and Jensen he learned and quickly mastered the full range of etching, incorporating various aquatint techniques as well as open-biting and drypoint. All the elements Semff identified as permeating his work post-Africa are present in these prints. In the gritty neighborhood around Harlan & Weaver, for example, Taylor spotted a window with a taped-up crack; this became the inspiration for a series of playful prints that riff on transparency, light and points of view. With Jensen, he produced a portfolio of 11 prints titled Ten Common (Hawaiian Household) Objects (1989). Its title page presents a grid of amusingly inaccurate vignettes of the ten object-images that follow, among them dangling flypaper surrounded by the specks of swarming insects, the detached yet animate straps of flip-flops and an uncharacteristically illusionistic ceiling vent, the air below speckled with dust motes. In Untitled (Bottles) (1989), a spin-off of the Hawaiian object project, transparent plastic water bottles are upended to spill their contents in suggestive washes of spit-bite. Taylor returned three times to Jensen’s workshop over the course of the final decade of his life, producing some extraordinary etchings and photogravures. 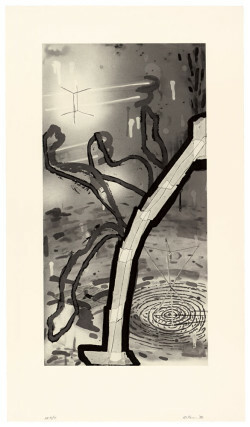 Among them are his “Hanging Puddles” etchings (1991), in which he imagines the fantastic scenario of puddles—in aquatint, of course—suspended midair like clothes from a line, and his humorous and best-known “Pet Stains” series (1991), inspired by a glance down to the pavement below a Paris apartment, where he noticed the traces of dog urine on the sidewalk. In the “Pet Stains” he invents a network of blots labeled with the names of places and creatures, at once constellation and map. 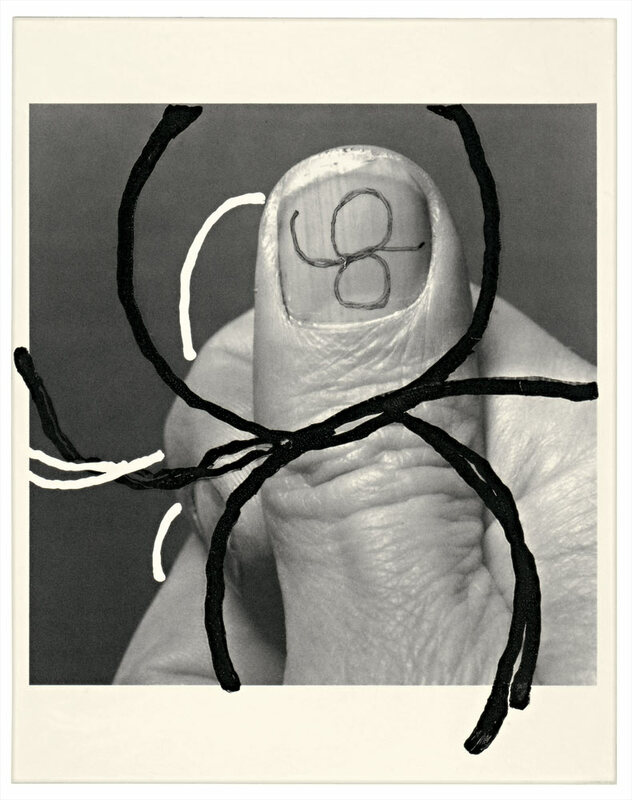 At Jensen, too, he produced his last published edition, All Thumbs (1997), a portfolio of ten photogravures starring his thumb—the most basic human device for signature and measurement—surrounded by transparent, painterly lines and with its nail a kind of screen for abstract squiggles. A line-etching and drypoint of his thumbnail—no photo this time—is the very last print Taylor made. Al Taylor, Hanging Puddles II (1991), drypoint, sugar lift aquatint, and spit bite aquatint printed in black from one copper plate, image 50.2 x 40 cm, sheet 71.1 x 58.1 cm. Edition of 20. Catalogue Raisonné No. 112. ©2014 The Estate of Al Taylor; courtesy of David Zwirner, New York/London. 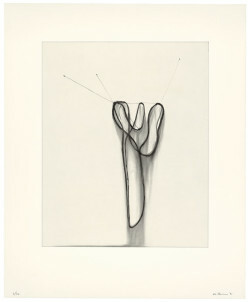 While Taylor favored etching, he also produced fine monotypes and lithographs, the former with Maurice Sánchez at Derrière l’Etoile Studios in New York and the most significant of the latter with Robert Arber at Arber and Son Editions in Alameda, New Mexico (again under the impetus of Cordes), both in 1990. In the monotypes, made on the offset press, Taylor strikingly combines newsprint with imagery of stains and wires, recalling his Duchampian “Pet-Stain Removal Devices” sculptures. In the monotypes, we are placed at odd angles looking through or down upon transparent planes that seem to be lifting before our eyes by menacingly jagged wires “attached” to the edge of the sheet. (These “dangerous lines,” as Sánchez puts it in an interview in the book, were created by drawing with punctured paint tubes filled with ink.) Text materializes within and behind the planes in reverse, and pale colors appear for the first time. In the “Coathanger” series of lithographs—so redolent of Jasper Johns—produced with Arber, a counterproof technique was used, whereby two fresh, identical paper impressions were placed facing each other, slightly off-register, and run through the press. The technique created a ghostly reversal, a kind of stutter, in vertical compositions of wire clothes hangers suspended from wires. For the catalogue, Mimi Thompson conducted interviews with Taylor’s main collaborators. Felix Harlan “liked Al’s humorous take on being from the Midwest. He used it as a distancing tool to hold off the whole New York art thing.” About working with Taylor, whom he describes as a “fragile flower with a hard shell around it,” Sánchez says, “you work with an artist and they go into new territory and you both do things you haven’t done before. It’s exciting and terrifying simultaneously.” Arber also comments on Taylor’s humor, and on his curiosity, adding that he “saw vast potential in something with almost no value to anyone else, and he could turn it into something great.” Jensen describes the aftermath of a party: “You know when you move your head too fast when you have a hangover and there’s a slight delay? 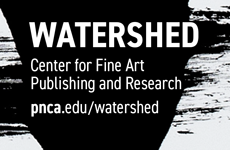 Well, this feeling caused his work [that day] to keep moving from two to three dimensions and back again.” Recent books seem more willing to turn to an artist’s printmaking collaborators for insight; here their comments bring Taylor to life. Al Taylor, All Thumbs: “I.” (1997), photogravure printed in black from a photo-sensitive polymer plate, image 25.4 x 20.3 cm, sheet 31.6 x 24.1 cm. Edition of 18. Catalogue Raisonné No. 157. ©2014 The Estate of Al Taylor; courtesy of David Zwirner, New York/London. Indeed, one is moved by the humanity of Taylor’s abstractions, his spot-on, alert eye trained upon our civilization’s lowliest residues, and a sensibility bent on elevating them. His was a subtle, curious vision; would that it had further unfolded over a few more decades.